Having been fully booked since October 2013 for this year’s Tour de France, we now have a four-berth Sky 20 available for Le Tour due to a late cancellation. Get in touch quickly if you might like a great deal on this last minute chance to follow Le Tour. Thomson Bike Tours – an Official Tour Operator of the Tour de France – is offering a great Grand Finale deal to Tour de France fans. Believe or not, these guys still have some tickets left and it looks like a great deal so whether you are dropping off your campervan before heading to the finish or taking it to Paris, if you don’t have a plan for the final day, you can still bag a grand-stand seat right on the finish line. For just US$400 (yes dollars, they are an American firm), Tour aficionados can spend the final afternoon and evening in the Grand Palais Tribune situated just before the Finish Line. 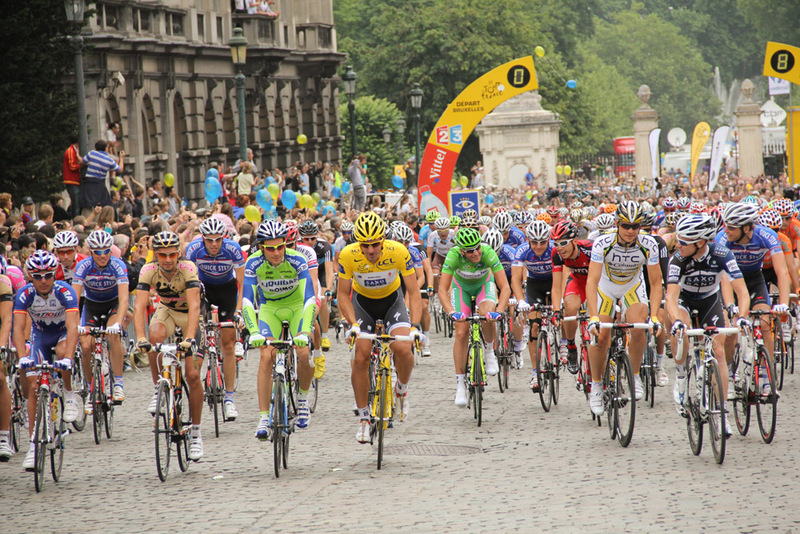 Watch up close and in comfort as the publicity caravan thunders through, the Tour de France race arrives, the peloton makes its laps directly past you, and the final sprint unfolds. To end a thrilling day, you’ll be in the perfect place to watch the prize-giving ceremony and absorb the last moments of the 2014 Tour. Click on the following link to find out more and to order your grand-stand tickets.